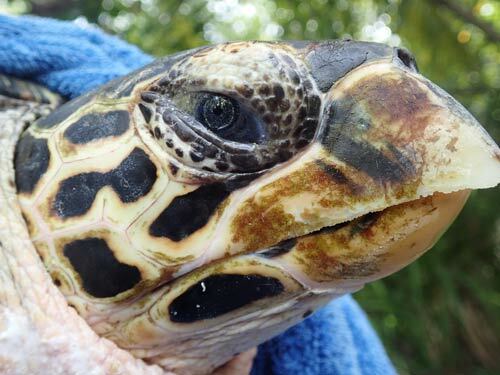 Meet Shanan, a Hawksbill Turtle Who Swallowed 3 Fishing Hooks! 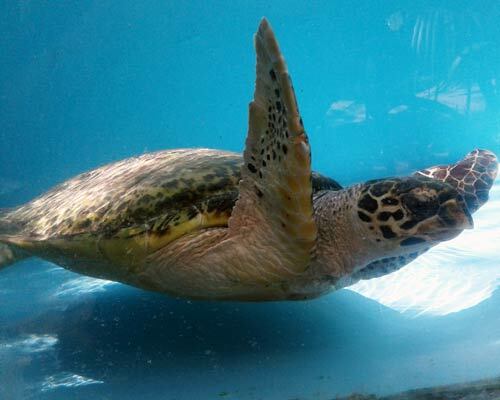 Shanan is a juvenile Hawksbill turtle. She was sent to us from Naifaru Juvenile Centre in Lhaviyani atoll. 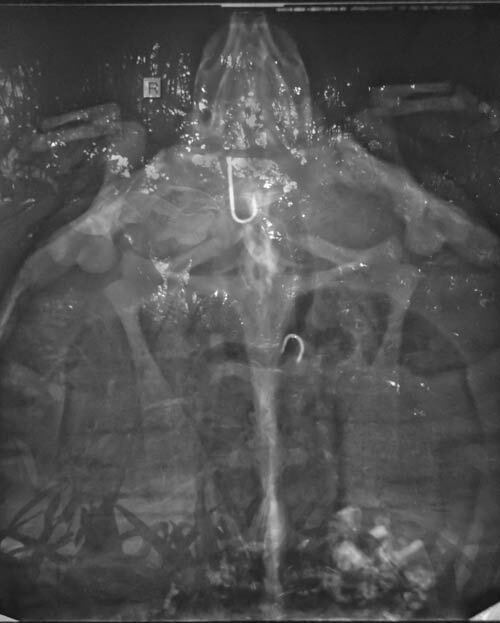 She was accidentally caught in a hook by local fisherman. She had 2 hooks removed at Naifaru Juvenile Centre, but was sent to us as it was suspected she had swallowed another hook. We took Shanan for an x-ray at Eydhafushi hospital. There we discovered she had swallowed a whole hook, and a smaller fragment! We surgically removed the large hook from her throat, however, the smaller fragment was too far down her intestines to remove. 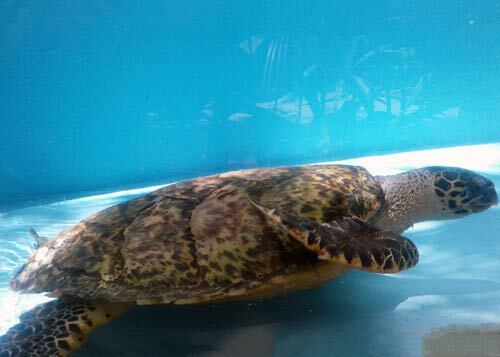 Shanan spent 25 days with us and started eating on her 12th day. 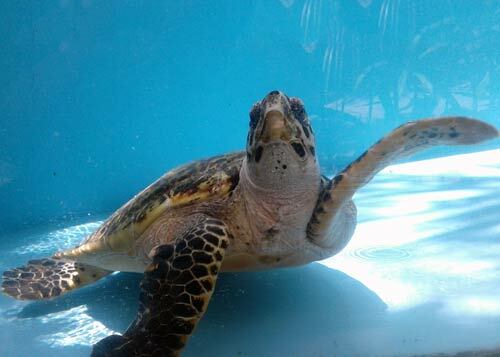 In the last week before her release she was very active in the tank, swimming back and forth, ready to get back to the ocean. 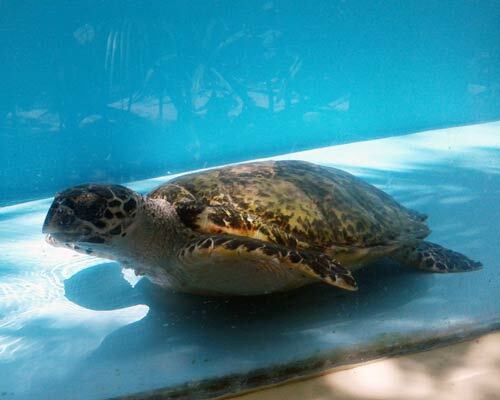 On the day of her release, she was very anxious in her transport box, trying to get out as soon as possible. 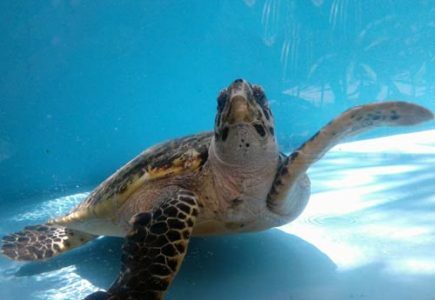 When we released her into sea, she eagerly flapped her flippers and swam into the blue without any hesitation.